Perth housebuilders Stephen have been shortlisted in national housebuilding awards. 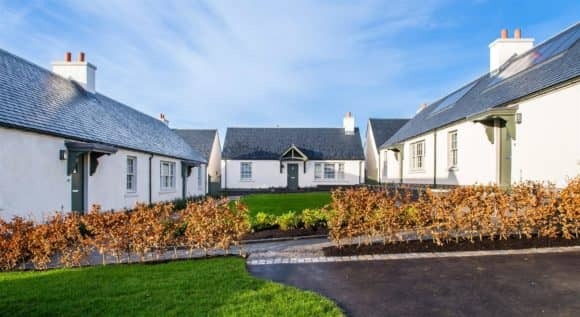 The family firm is a finalist in the ‘Private Development of the Year’ (small) category of the Homes for Scotland Awards 2018 for its development at Chapelton, Aberdeenshire. All shortlisted developments will be visited by judges next month, with the winners announced at the HFS Annual Lunch in Edinburgh on Friday 25 May 2018. Stephen has been shortlisted in respect of 20 cottages being created at Chapelton, which will ultimately become Scotland’s largest new town. 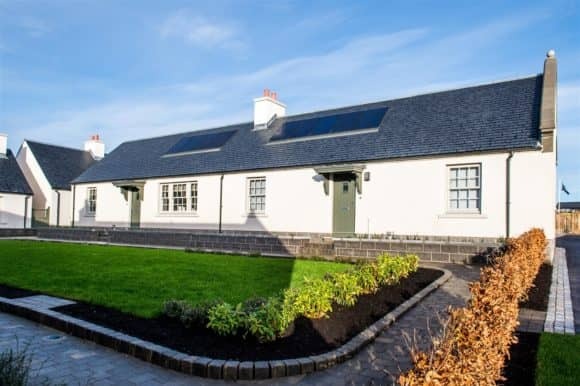 The two and three bedroom semi and detached cottages set in attractive courtyards complement the firm’s range of two to six bedroom homes, many of which are already occupied. Enhancing the immediate local area, access to the courtyards has been designed to be private, with hidden parking while still allowing open views to the courtyards from the adjacent residential street. The landscape design of each south facing courtyard has been given special attention to give them their own individual charm and character providing seasonal interest and intimate seating areas. For more information, visit, visit www.stephen.co.uk, www.chapeltonofelsick.com or www.homesforscotland.com.